5/5 rating based on 187 reviews. 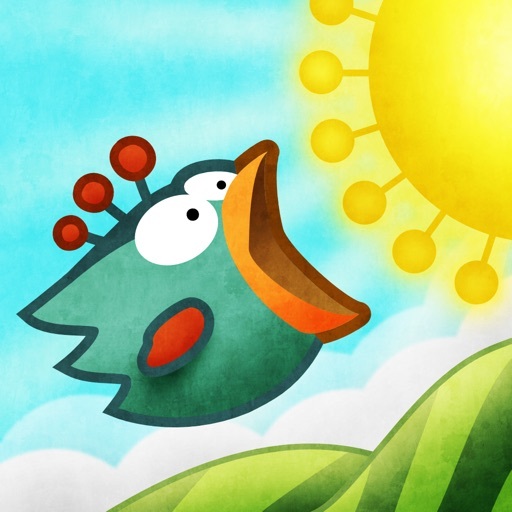 Read all reviews for Tiny Wings for iPhone. I've been playing this game for at least six years now, on an iPod Touch, an iPad, and several iPhones. It's simply great, and it brings me even better memories and happiness. Thanks dev. Best game on the App Store! Been playing this since middle school, and I'm a sophomore in college now! It's endless fun with beautiful graphics and fun music. Good game to play when you're bored and passing time. I'd love to see new features added as I've already mastered the race challenges! I got this game when it first came out, and it has moved with me when I upgraded devices. Simple controls, simple concept, and has the “one more game” feel. In short, the perfect iPhone game. Been playing for years. Thank you for such an awesome game. I first downloaded this game many years ago during a trying time in my life, and now as a college student, I have rediscovered it just in time. It has helped me destress and relax. This game will forever be my favorite. Almost impossible to stay in fever mode all of island 4. Now I can’t really play to advance. Thanks for updating it for iPhone X. I love this game and although I don't play it anymore but I don't want to see this game die. Thank you for making a game that has stored a nice memory of mine for almost 10 years.